Mornings can be hard. 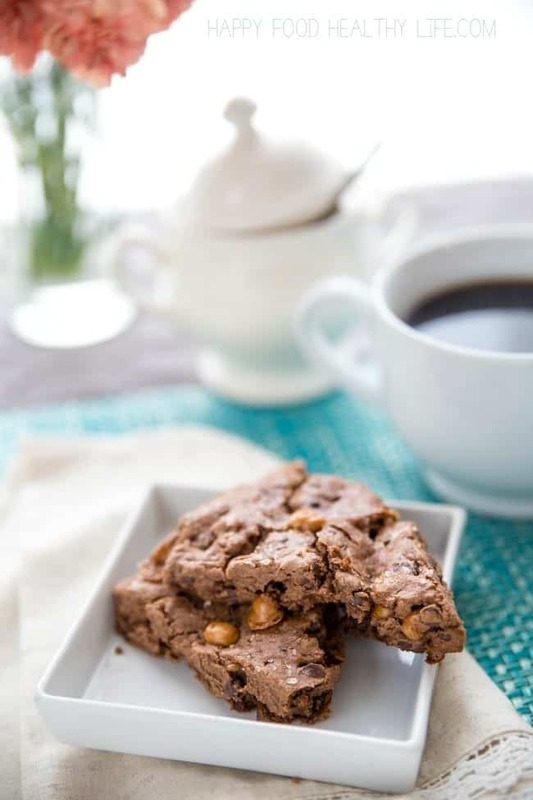 Sometimes they require a little extra spoiling, like with these Salted Caramel Chocolate Scones. You’re sure to start the day off right with one of these dunked in your coffee. Have I told you about my breakfast routine? I seriously eat the same thing for breakfast every single morning. Old-fashioned oats + flax seeds + raisins + sunflower seeds + agave + almond milk. Every day without fail. It fills me up. It keeps me warm. It feels healthy. It’s just my go-to. It’s so much of a routine that I even measured out pre-portioned oatmeal packets so I can just pour it all right into a bowl every morning. If you follow me on Snapchat (which, duh, you should be), you’ve seen these oatmeal packets in action. Mornings are just so routine for me. Oatmeal in the microwave, empty the dishwasher, pour my second cup of coffee, agave and almond milk on the oatmeal, to the table with my latest book. Same thing every single day. I create these routines in my life in order to make my healthy habits become just that, habits. Just like my breakfast routine, I know that every morning, my alarm goes off at 4:30, I snooze once, and then I’m right out of bed at 4:40. That’s just how it is. And on Wednesdays and Fridays, after I take my kid to school, I have 45 minutes of work to do before I have to leave for Zumba class. Routines. I thrive on routines and habits. I personally love the school year because of the routine we’re forced to stick to. Summer and winter breaks make me crazy because of the lack of routine and structure. 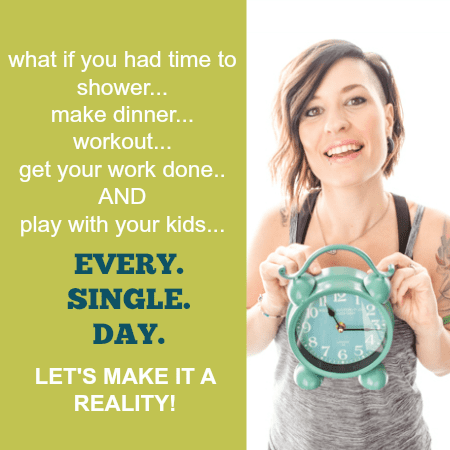 As a mom, it can be so easy to get stuck in the routines. Especially because I have a kid who thrives on them too. But there comes a time where things need to be switched up a bit, you know? Every so often, we, as women, deserve something special. Something out of the ordinary. A day where all schedules and routines and thrown out the window. A day when dessert comes before the meal. A day when Netflix binges are totally called for. A day when a midday nap is welcome. A day when we get chocolate for breakfast. Sometimes, I really need to let my routine fly away and guide my day by my feelings and intuitions. Sometimes, I need to say no way to another pre-portioned packet of oatmeal. Instead, I will grab for the Salted Caramel Chocolate Scones. And my friend, I highly suggest that you do too because… YUM! These special days don’t come often. Chocolate for breakfast is way too out of my routine to make it a normal thing. But on the days that I do give in to these special treats, I have learned to savor each and every single bite, knowing that they are rarities. You know what the awesome thing is though? 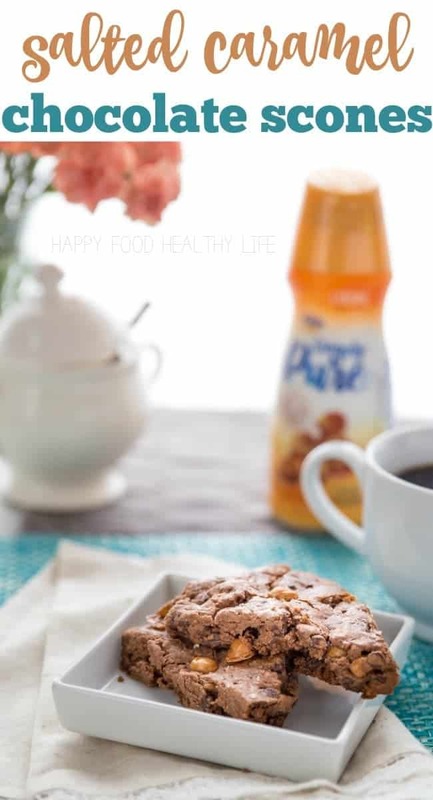 Even when I’m sticking to my routine of oats, I always find a way to indulge in my coffee. Every morning, it really is like a treat when I flavor my mug-ful with flavored creamer, like International Delight’s Simply Pure. The dessert-like flavor in every sip is exactly what I need to start every day. What I love about this creamer is that it’s not full of a bunch of crap like many of the other brands. 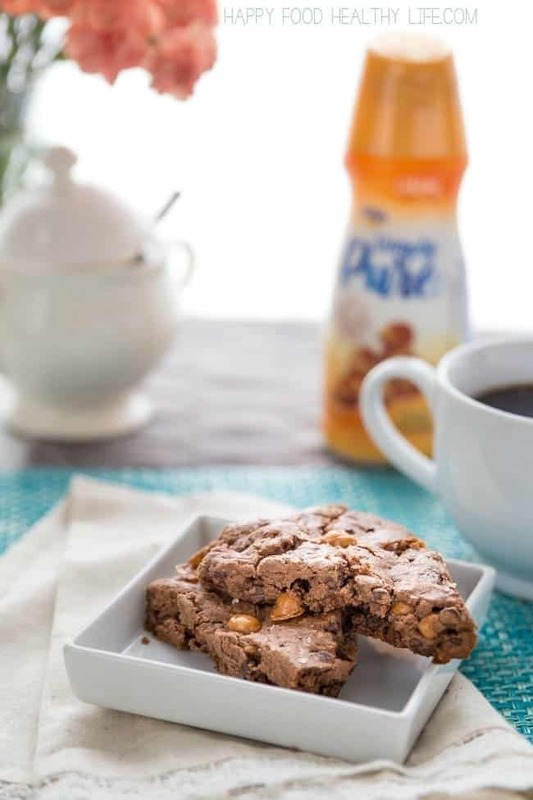 With just 5 simple ingredients, they offer a new way to enjoy the coffee you love. Life may be full of routines, schedules, and monotony, but I find it so important to take at least a couple days a month to really find the enjoyment and pleasure out of the little things. Maybe it’s an hour or so reading on the porch. Maybe it’s baking with a wine glass in hand and your favorite tunes in the background. Or maybe it’s just a simple mug of rich flavorful coffee before your day gets crazy. Don’t let life move so fast that you aren’t able to stop and enjoy it. How do you stop to enjoy the simple moments of busy life? 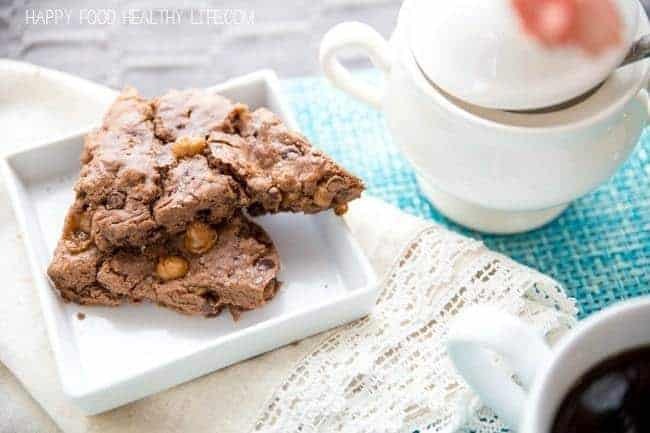 Combine flour, baking powder, baking soda, and cocoa powder. In a separate bowl, mix together the egg yolk, honey, and coffee creamer. Add to the dry mixture and mix until just combined. Add chocolate and caramel chips. Transfer to a greased or sil-pat-lined baking sheet. Whisk the egg white until froth forms and brush over the tops of scones. Sprinkle sea-salt on top. Bake at 400 degrees for 10 to 12 minutes, until slightly hardened on the edges. Want to know how I incorporate these into my healthy lifestyle? 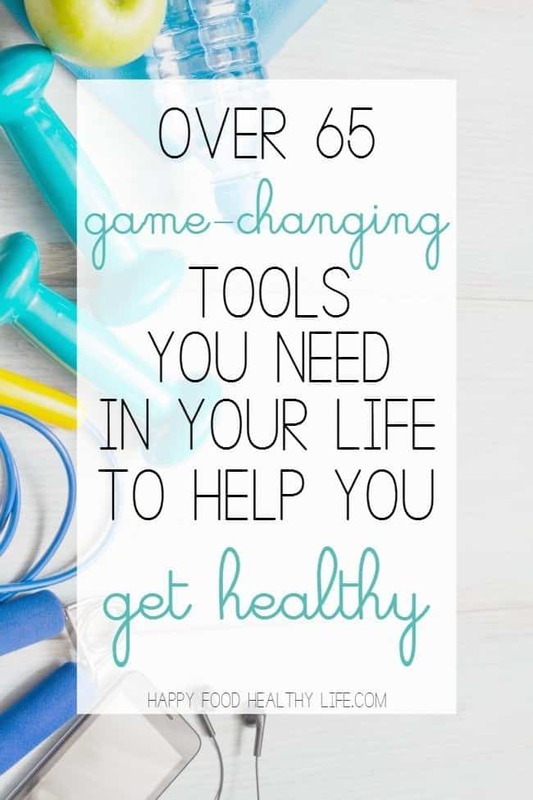 Over 65 of the top tools you need in your life in order to get healthy. Want to know what the best healthy food and equipment to keep in your kitchen? Need to know how to stock your home gym? What about the best health books to keep on your bookshelf? This guide has it all! Get an inside look at the exact tools you need to life a healthy lifestyle once and for all. Click through to gain access to over 15 pages of resources. Totally free, so you’ve got nothing to lose! 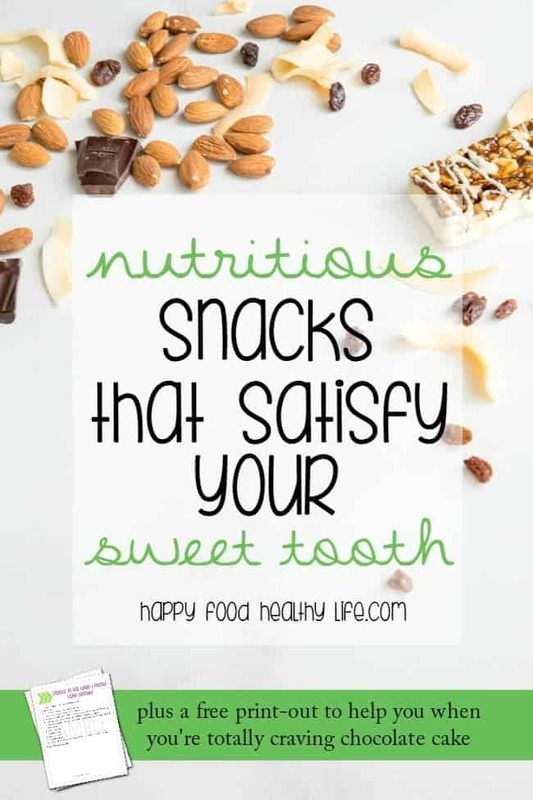 Feel like your sweet tooth takes over and makes you want to eat all the desserts? 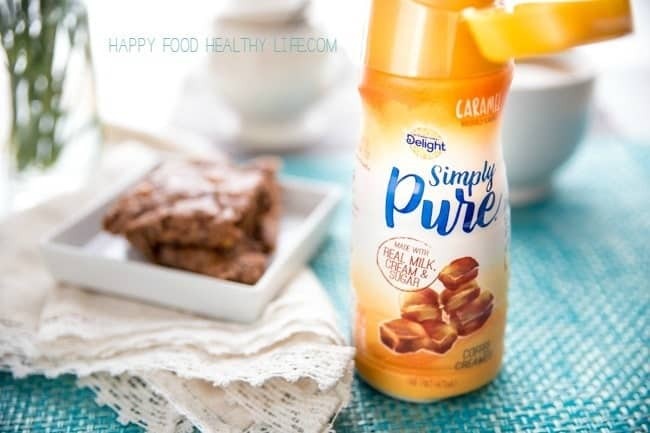 Try out these Nutritious Snacks that Satisfy Your Sweet Tooth. Click through to grab a free printable that you can hang on your fridge to combat those cravings! 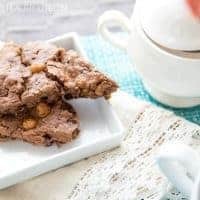 If you like this recipe, be sure to share on Pinterest, Facebook, Twitter, Yummly, and StumbleUpon using the buttons below. I am not a routine person at all; I try to be, but I’m just not wired that way. That being said, I do have to have my breakfast and coffee every single day, and these scones would be an amazing treat to indulge in! Yum! Thanks for sharing these with Merry Monday. oh man, I don’t know what I’d do without a routine. I definitely go a little crazy during the summer months, that’s for sure! Thanks for coming by! I love scone recipes. I have picked this as my feature for my party! Glad you came over Hope you day is filled with lots of relaxing stuff. Thanks Maria! I’m so glad you enjoyed them! Salted caramel is my vice. These look SO good! Thanks for linking up with Delicious Dishes Recipe Party! right?! Salted caramel everything for the win! These look delicious and I will have to make them sometime. TFS! Visiting from Dream, Create, Inspire. Oh my goodness, I’m in love with them and really wish I had more right now. Thanks! I hope you were able to give it a try!